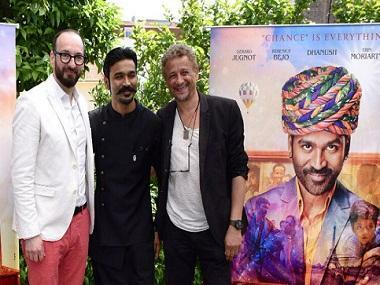 Dhanush is all set for his first Hollywood project, The Extraordinary Journey of The Fakir (TEJOTF), which releases on 30 May. The actor's international debut is happening opposite French actress Bérénice Bejo, famous for films like A Knight's Tale and The Artist. Although rumours initially indicated that the makers wished to cast Uma Thurman opposite Dhanush, Bejo, in the end, bagged the role. 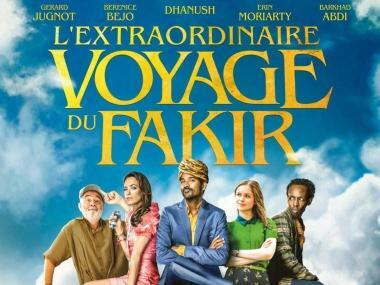 The film is a romantic comedy directed by Ken Scott and is based on Romain Puertolas’ novel titled The Extraordinary Journey of the Fakir Who Got Trapped in an Ikea Wardrobe. “I fell in love with the project. It’s the story of a young man who comes from a small area in Mumbai. He knows nothing else but his neighbourhood. We developed the script expanding on the concepts in the novel," Scott tells DNA. Dhanush who plays the lead in the film, had earlier said that he considers himself fortunate to have landed the role of Ajatashatru Lavash Patel (Aja), who is a magician. "It’s God’s grace that I landed this offer. Although I have been offered three Hollywood projects, the script of this one really convinced me to sign it. It’s a very strong role. I play a character called Ajatashatru, a street magician,” the actor who is also prepping up for next Hindi flick said. “I believe what you spread out comes back seeking you. It’s such a positive film and it’s all about spreading positivity. Irrespective of the industry I work in, I’m constantly learning from the people I work with. If Bollywood taught me a lot about production, Hollywood has been a revelation in terms of understanding filmmaking better,” he added. Along with Bejo and Dhanush, the film also stars actor Barkhad Abdi, an Oscar-nominated actor and Erin Moriarty, who is famous for her performance in TV series like True Detective and Jessica Jones.